Item: My name is Patricia, and I am a Spaniard living in Edinburgh, after scanning my home for ideas, I realized how much all my belongings are spread between Spain and Scotland. 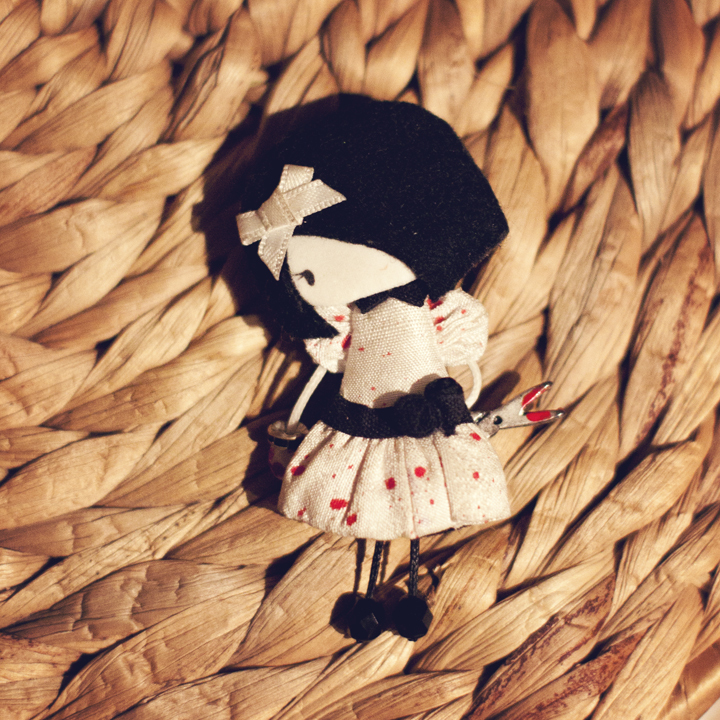 Finally I chose this is a small brooch designed by a Galician designer called Sago that creates small customized dolls. I fell in love with it waking along Cangas on a sunny spring day, but decided it may just be a passing whim. I never had the chance to buy it, though I couldn’t stop thinking about it. Few months after, I stopped living in Vigo and went to Madrid and few months after that, my husband joined me to live in Madrid, with a small surprise in his pocket, he is not exactly a spendthrift, so this brooch means lot to me. Thanks Paul.